One of the big changes in travel came this year when a certain smiley high street travel brand renamed to TUI. That’s not the only change they made either, there was also the introduction of several new TUI sub-brands. So with the January travel sales rapidly approaching, we thought we’d explore exactly what each of these new brands offers. A TUI SENSATORI holiday is a luxurious five-star holiday that satisfies all your senses. 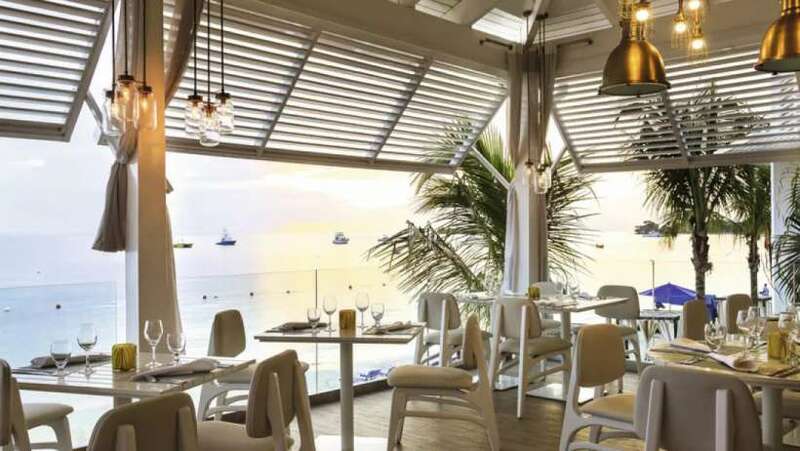 The restaurants will offer gourmet dining, and there will be a minimum of three à la carte eateries in your all inclusive rate, plus a buffet where you can try out delicious dishes with a global inspiration. The entertainment will be world class – whether you are catching a West End-style show or encouraging the kids to join in at the kids’ clubs with science labs and craft zones. And naturally your surroundings will be sublime. If you like the sound of a balanced and luxurious all inclusive getaway, then check out the exclusive collection of Sensatori resorts. There’s a couple of peaceful Caribbean options, like the tropical TUI SENSATORI Resort Azul Jamaica which offers four pools, the white sands of Seven Mile Beach and beachside yoga classes. Closer to home you could explore Ibiza’s sublime side at TUI SENSATORI Resort Ibiza or stretch out on the impossibly picturesque Turkish coastline at TUI SENSATORI Resort Fethiye. If you are an adult – and an adult who is into sophisticated holidays in stunning destinations where you won’t be interrupted by kids dive bombing the pool – well, then a TUI SENSIMAR holiday might be for you. This collection of stylish holiday resorts are all entirely child free. So you’ll be able to relax and enjoy quality holiday time with the first class restaurants, indulgent spas and easy-going cocktail lounges. There are loads of grown up TUI SENSIMAR resorts dotted all across Europe and the Med. 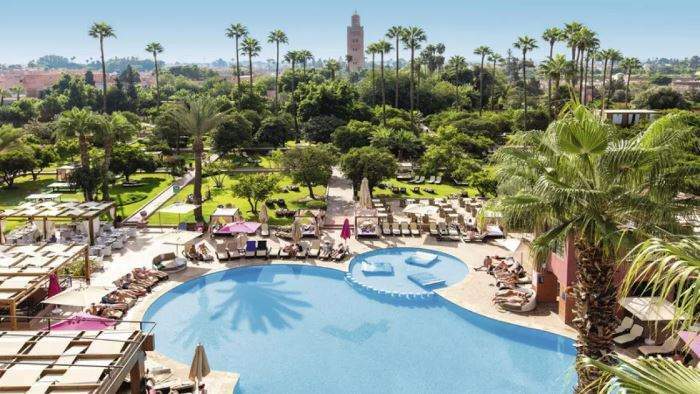 You could enjoy an exotic stay in the lush surrounds of TUI SENSIMAR Medina Gardens in heady Marrakech. Or soak up the panoramic beach views from TUI SENSIMAR Lagos, which is set in the sunny Algarve. There are more views at TUI SENSIMAR Elounda Village Resort & Spa where you can sip sundowner cocktails and also drink in the cliff-top views from this luxurious hotel. It’s set in Elounda, one of Crete’s most beautiful resorts, and a celeb-favourite destination. Families who do want to holiday together will find everything has been thought out for them at a TUI FAMILY LIFE resort. To keep the kids happy there’s free children’s clubs, split by age groups. 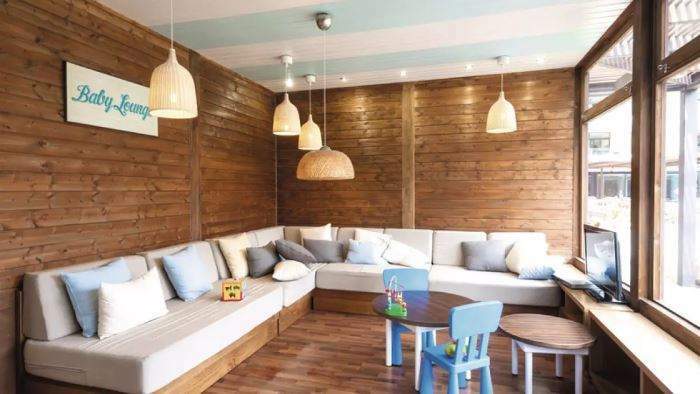 Plus lots of kid-friendly eateries – every resort will have both a Taverna, which offers authentic local delicacies in a relaxed setting, and a buffet with plenty of choice and allergy-friendly dishes. The adults aren’t forgotten either – there are coffee shops for chilling and an extensive programme of activities which may include anything from morning jogs to aqua aerobics. There are plenty of resorts to pick from when you want to make these magical family holiday memories together. You could book a trip to Gran Canaria where you’ll enjoy the year-round sunshine at TUI FAMILY LIFE Las Pitas. For a holiday that’s full of fun head to TUI FAMILY LIFE Avenida Suites which has easy access to all the adrenaline-racing rides at PortAventura Theme Park! And if you fancy something truly exotic for your next family holiday, how about splashing about in tropical Thailand at TUI FAMILY LIFE Mai Khao Lak where you’ll have private villas and an unspoilt beach at your disposal. If you’re someone who thinks holidays should be less fly and flop, more get up and go, go, go! Then you need to get acquainted with the TUI ROBINSON resorts. These holiday destinations will offer over 50 weekly activity classes plus activities like sailing, scuba diving, golf and tennis. You can throw yourself into adventurous sports like surfing and paddleboarding, or enjoy a slower pace with cookery lessons and art sessions. And to accompany your action-packed holiday there’s plenty of wholesome and delicious food (resorts are full board or all inclusive) and the locations are pretty impressive too. There’s a palatial-style resort in Morocco; TUI ROBINSON Agadir which offers a whole range of adventurous watersports including body boarding and surfing. As well as more relaxed pastimes courtesy of five nearby golf courses and an Oriental spa. Or for a truly special holiday, consider TUI ROBINSON Club Maldives. Here you can snorkel and dive in the incredible coral reef off the Gaafu Alifu Atoll or take part in a game of tennis or beach volleyball. Think of TUI MAGIC LIFE as an all inclusive holiday – but even better. These resorts go above and beyond serving the essential food and drink. There’s 24-hour all inclusive – so you can grab a drink anytime you fancy, and there are extensive buffets with additional snack times like afternoon tea and late-night bites. And as if that wouldn’t be enough choice, most resorts have three speciality restaurants too. Entertainment will be another highlight – expect performances from professional dances and acrobats, and during the day activities like mountain biking and Nordic walking come as standard. Oh, and every single Magic Life resort is set right by the beach – some even have their own private stretches of sand. 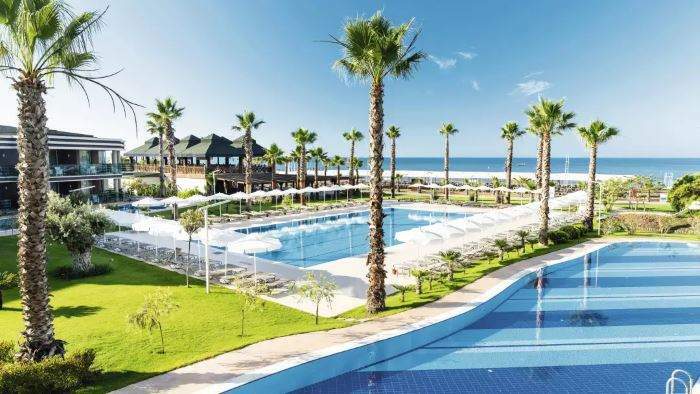 There are several TUI MAGIC LIFE resorts offering prime positions on some of Turkey’s stunning beaches, like TUI MAGIC LIFE Masmavi in Belek, perched between golden sands and green golf courses. If you’d like some winter rays try TUI MAGIC LIFE Fuerteventura which is perched on a plateau above Playa de Esquinzo’s sandy beach with a choice of five outdoor pools. Or you could go Greek, with a stay at TUI MAGIC LIFE Rhodes Plimmiri by Atlantica. Set out like a Greek village, this beachfront hotel offers kids’ dance classes, windsurfing and even a free introductory scuba diving lesson. TUI BLUE is a collection of premium hotels, characterised by modern design and complemented by smart use of modern technology. Download the TUI BLUE app and you can check-in in advance and start planning your holiday activities before you arrive. When you do arrive you’ll find all resorts have Wi-Fi throughout, and you can contact your TUI BLUE Guide for their first-hand tips to ensure you get the best out of your destination. They love to advise on unique and authentic experiences that you can only get in your chosen location. TUI BLUE Resorts also have an emphasis on cuisine, with chefs using healthy local ingredients to cater to a wide range of diets. 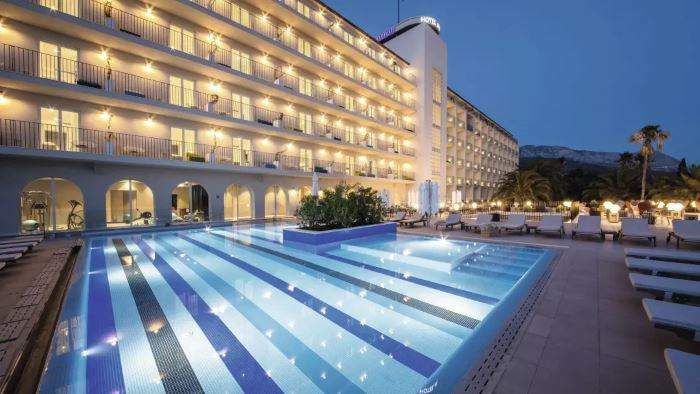 TUI BLUE Jadran was a brand new hotel launched in 2017 which paired modern design with inspiration from its beautiful Croatian surrounds. For some dramatic cliff-top views indulge yourself with a stay at TUI BLUE Falesia. The easy access to some of the Algarve’s best beaches mean your BLUEf!t programme can be complemented with plenty of relaxation – or time spent messing around on a pedalo at sea! You could explore Majorca’s beautiful landscapes with a stay at TUI BLUE Rocador. This adult-only hotel has a minimalist feel – and why would it need to go flashy, when you’re steps from the pretty cove of Cala Gran? Or how about Marmaris – but not as you think you know it. TUI BLUE Marmaris is hidden away on a peninsula cloaked in pine forest and offers eco touches like recycled wood tables and a dedicated hotel Green Team. ← Weird Christmas Foods Across The Globe!